Rauhah has been talking about ghost lately. I dissed her everytime she talked about it and I could see her frustration. I realized it was wrong and decided to (wo)man up. She done it again today and it always when Husband is not around. Sheeshh..
Rauhah: Ibuuuu! Ade ghost gerak2 kerusi Awah. Amboi main2 tolak2 kerusi. This is the ultimate ghost story she ever told me. I took her hand and we walk towards the chair. Rauhah: Tuuu.. (pointing to the white canvas in front of the window. Husband was making the room as his photo/video room, complete with the white backdrop that covers the whole wall - to explain the white canvas) Ghost gerak2. Guess what. It was just the curtains moving creating the shadow as if there was someone behind the canvas. I explained it to her and showed what actually is. Told her there is no such ghost. She seems convinced but then I remember that she told that the ghost gerak her chair. Oh well. Nevermind, I told myself. I then stayed with her in the room, decided to watch Criminal Minds. She is sitting next to me watching cartoons. She then again talking about the ghost shaking the table. Me: Rauhah..it was you who shook your own chair. Langgar meja and it bounced back. Sebab tu meja gerak. Rauhah: Ohhh..okay. Rauhah gerak sendiri. She didnt realize that she was rocking the chair all these while and it hit the table. Haiyaa ini budak. 1 minute she was all shaken up looking scared and seconds later, all okay like nothing happens. Afterwards, no more ghost. Not once, till end of the day. Pheww.. I have troubles with skin tags lately. It has been bothering me that I started to survey for skin specialist. Major skin drama I am. Haha. I have Dr.Ko in mind but my problem wasnt severe but it is there, slowly emerging one by one. In before going for the skin specialist, I decided to check few home remedies but heh, this face? Self made? Heh. Next! Then I opt for buying some products. I was browsing and somehow stumble one post that Tea Tree Oil could solve the problem. 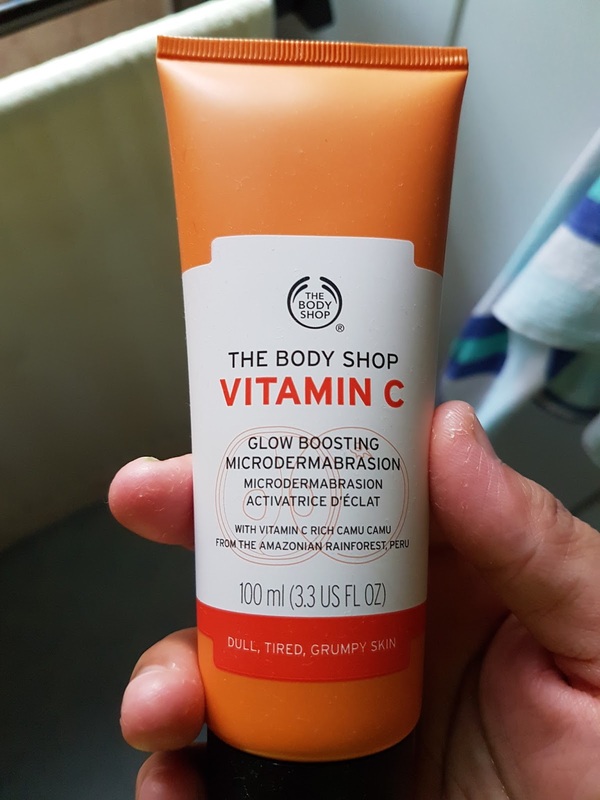 Coincidentally, Bodyshop had introduce new Tea Tree range product. So I went to the shop nearby. As my hand reaching for one of the product, I read the descriptions and I saw 'blemishes' and no 'skin tags' word anywhere. Oh bugger! And there this one salesgirl approached me asking if I need help. I told her my problem. 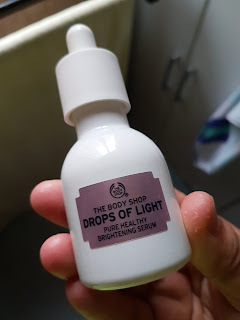 She started to introduce these serum and advised to use together with the sunblock. I was sold. Then she noticed my skin was dull and recommend the scrubs. The next thing i know I have 5 items on the counter and lucky me, there is RM60 reduction of total purchase - told myself it was a good day to spend. Hehe. The sunblocks wasnt greasy, the kind that I like. The texture is super light and absorbs quickly. The scrubs was way better than the one that I use before. 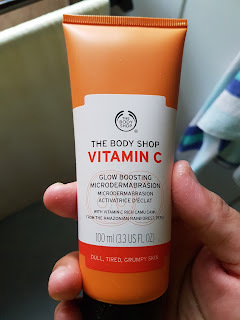 It has small particles that makes the skins smooth right away after I use it. 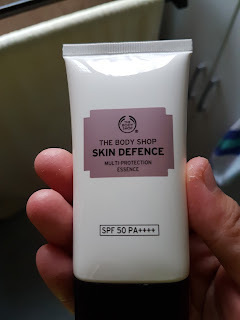 Although it stated it can be use up to two times a week, I only use it once in a week/two weeks or else it breaks my skin. I have been using these three for a month and wasnt disappointed. Probably will stick to it for now. Husband was on business trip for few days and it was my first time staying at home overnight without him at our new home. I'm such a scaredy cat and I have been forcing myself to sleep but could only sleep at 3am. It was a tiring nights but couldnt be any happier when Husband was about to arrive. 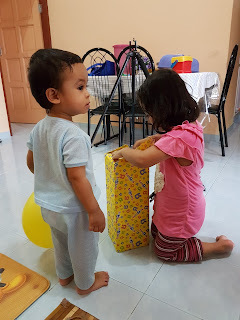 Rauhah has been asking about him and when the time comes, she is so excited and I take advantage to ask her clean up all her toys before we get Abi at the airport. Everything was great until the waiting game starts. We waited in the car because I tought it will be for couple of minutes but I was wrong. We waited for more than hour and these two rugrats started to get annoyed. So to make up to her, I told that Husband have to treat us all. Ok la. Rauhah nak Abi belanja apa? Awah nak Abi blanja tak work jauh jauh lama lama. But I think she dont understand the concept of 'belanja' thing. Huhu. Anyhow, Husband still owe us sebab that time we all just went straight back home. Dinner pun dah ada at home and she just want sausages that Aqil had, the last sausages that I bribe him to sit in the car seat earliear. Balik reheat nasi goreng and airfried sausages. Then everyone settle down, happy and I finally could have my peace for good night sleep. 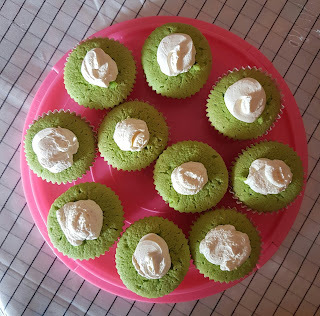 I made Pandan Gula Melaka cupcake again but this time, different buttercream recipe. This suits me and the family the best, so far. The last buttercream that goes together with the recipe that I post was too troublesome for me and I try to find something is easier and nyums, of course! 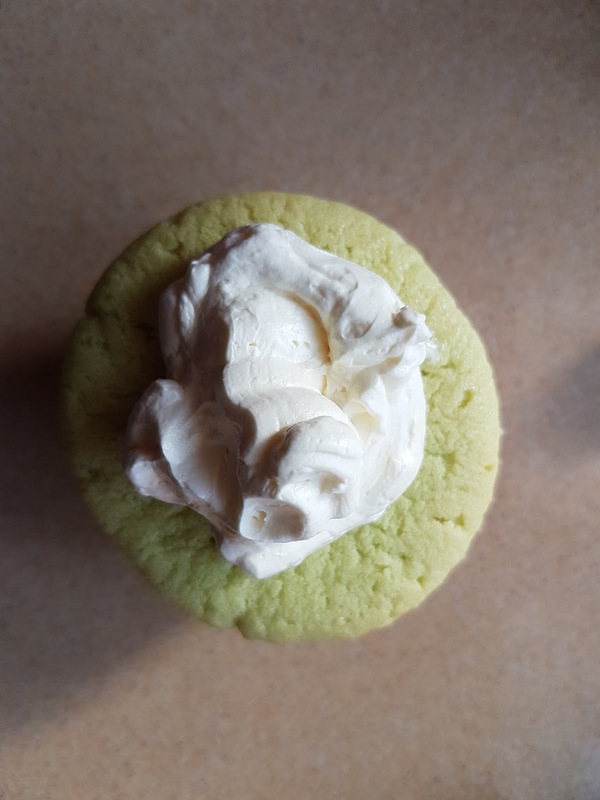 Thank you for this blog, I have found my buttercream recipe keeper. The sweetness was just right and it kinda stays in shape for at least over a night, outside the fridge. I just use half of the original recipe and it can be use to 20 large cupcakes, provided you just squeeze it like mine. Hehe. 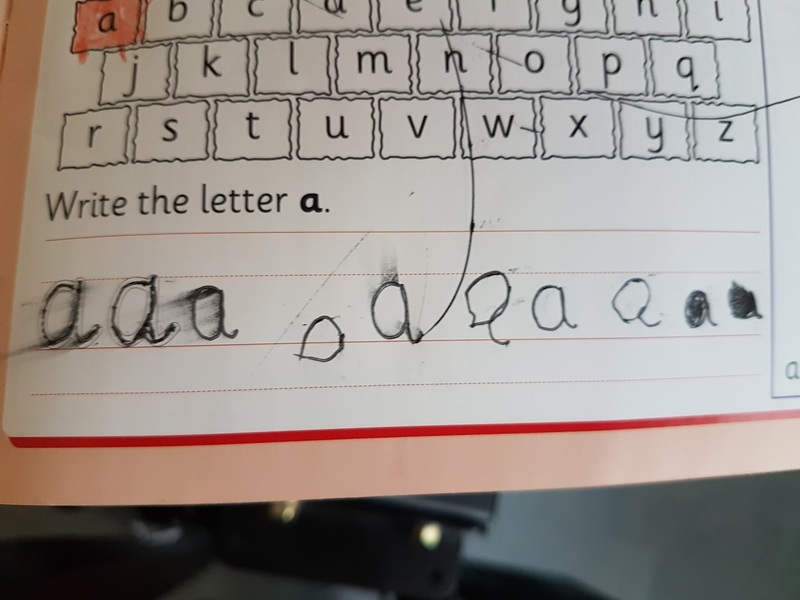 It was Day 1 and we started with letters. She knows the word by singing and some letters by luck right. We had good 5minutes of learning but after that, she lawan the teacher pulak. 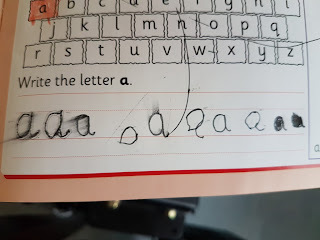 Me: Ok. Now try write a on your own. Look at the traits that you did just now? Rauhah: Yes ibu. I do zero first. 'Not zero. A sayang' while pointing the example but she tepis my hand. 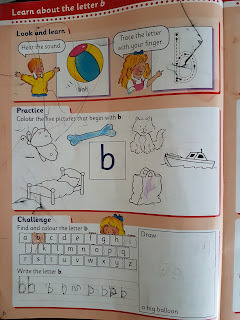 Then, the little brother who I gave his own book and color pencil decided to conteng the sister's book. And after that is all about me being the defender of Rauhah's book and at the same time arguing which is the right technique to write a. At the end we survived finishing a and b which is two pages. 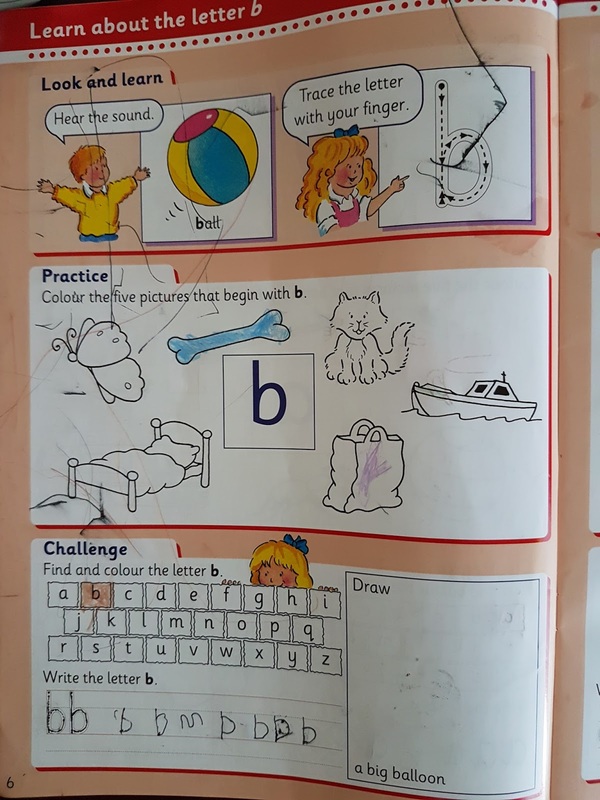 I am so proud of myself that I think we can do the next letter but before that we did some revision. I longed for this dah lama and I had showed this to Husband but he doesnt impressed. Not until he saw a demo at Mesra Mall and straight away been sold. Anyway, this juicer pressed everything! I have been using for more than 6 months. Named all the juice that you want and had a good drink without feeling guilty. The waste can be turned tu fertilizer, if you lazy much but fibres from pineapple can turns into tart or carrots into cakes. I usually makes oranges, apples, watermelon and sometimes combines few usual fruits. Vege pun I dah redah like peria but I taknak dh buat sbb few combo I try tak sedap. Haha. But sawi, kailan, timun combo with some other fruits turns great jugak kalau the ratio is right. 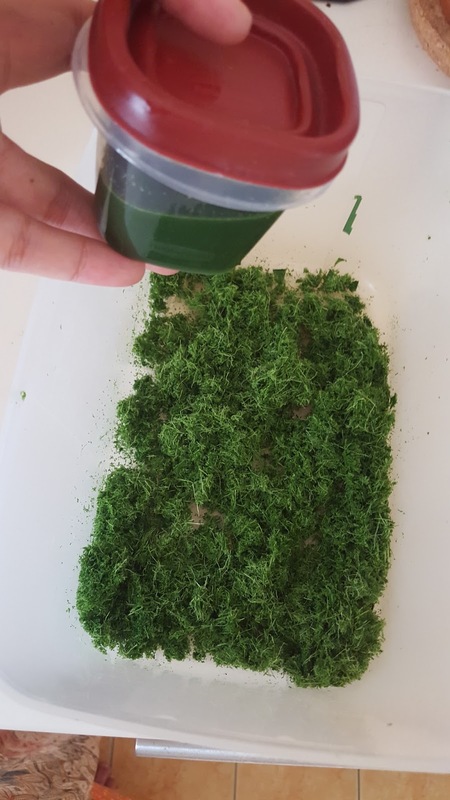 I dah buat air soya, almond milk, GGS, milkshakes and even extracted pandan leaves for flavor. Mmg pure pandan extract. Kelapa parut pun dah masuk and my parents are considering buying when they saw the santan pekat gila without adding water. The kelapa flakes pun mmg dried habes. Tu yg lg suka. The cleaning part is bearable. I receive the brush together with the package. So it wasnt a husle. Kalau nk ade fibres in your drinks pun boleh by adjusting pulp control level or just change the extraction net. 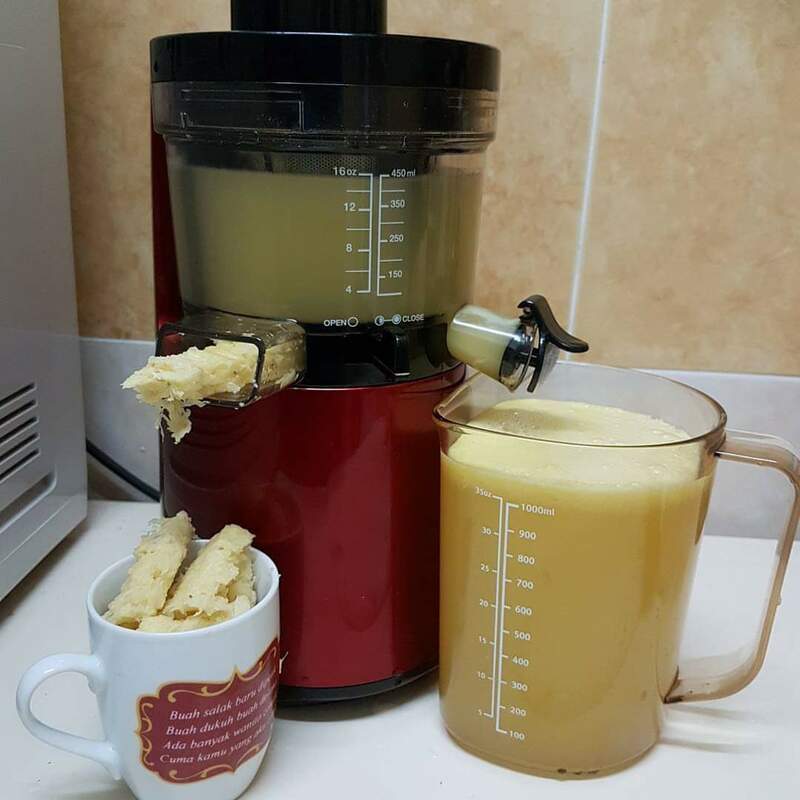 I mmg suke juicing sbb tu beli. My wedding gift list pun I letak juicer dulu and turns out I get 3 juicer. 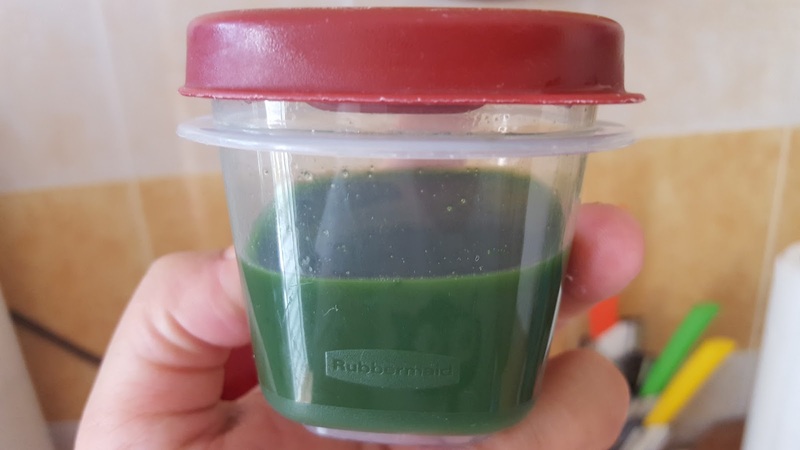 Kalau Hurom wujud time tu, dh lama I kurus juicing je. Haha. Rauhah is into magical phase. Literally. 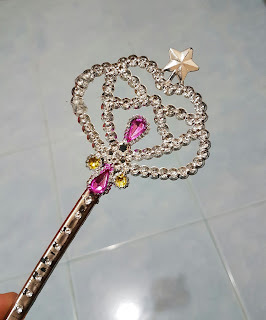 Magic wand. Magic wand. Please turn Aqil into frog. It always frog. I dont know why. Haha. Funny thing was she would immediately turns Aqil back and MUST turn back after each spell. Magic wand. Magic wand. Please turn Aqil back. So one day her wand went broken and Husband glued it together. Apparently he is amused with the spell and decided to play the role. He cast the spell and waved the wand. Rauhah was surprised as in she is under attack and run for her life. She screams when he saw Husband keep on chanting and went hiding. It was so funny that my eyes teared up. Haha. I guess she really believe that the wand really works. Kids and imaginations. LOL. Husband told me about Pokemon Go when it started months ago. 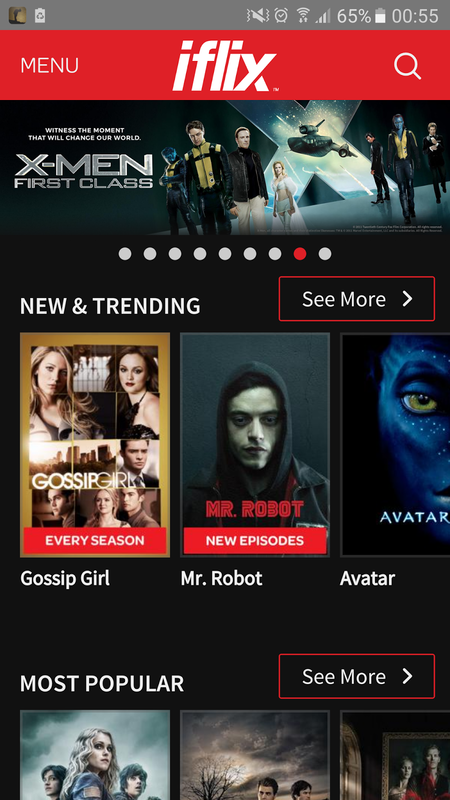 He downloaded it even it is not available in Malaysia. I am not that interested but was just okay with it. Then, it entered yesterday. I was in thetoilet doing business and he was banging on my door insisting to open as there was fire in the hole. He was so overjoyed that he use the apps while driving and it annoys me because he was struggling catching the pokemon. Did I said while driving? Yes! And I have to put extra focus as well and omg god knows how annoying it was. And he told about the whole thing. You have to walk to catch them but since he was driving so he HAVE to catch or HAVE to stop because you dont know when you'll see the pokemon again. It will just appear out of know where. So I get involve. Just because it annoys me. I am now worst than my husband. Not in the game but with my coolness. 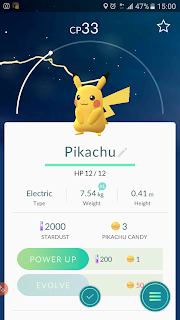 My eyes is now on focus with my phone everytime we went out and I already dreamt of catching Pokemon last night. 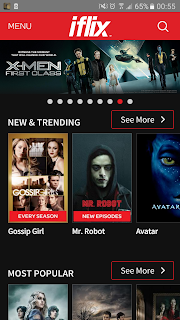 Say good bye social media and hello world. I walked more yesterday just because there are 3 pokemons at my PIL that I need to find, while dukung Aqil. I might loose some weight too. 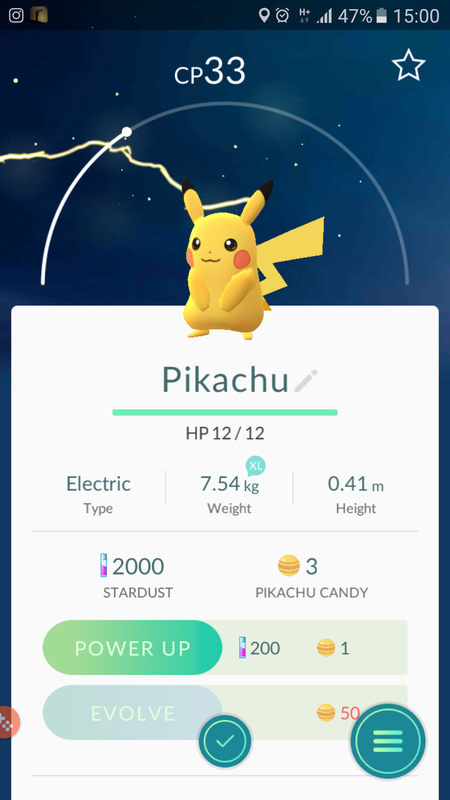 Well, it is actually I already catch Pikachu but my husband hasnt. Hehe. Kerteh apa ada? Apa pun takda kalau org tnyr aku masa mula2 pindah. This place sgt small. Not much competition for business sebab tu ramai prefer stay Paka. Mesra Mall tu takat penyeri je. Even kedai kat Mesra Mall pun tak boleh business lama. Kedai like Starbucks, ToyRUs, Reject shop, Kamdar penah wujud tpi tak lama. Tak yah mention la kedai2 lain kan. Every year mesti ade kedai move out. Tak tahu kenapa. But kedai like Pizza Hut and Secret Recipe antara yg stay lama and I dont think they'll close shop for now. Ade TGV, so that is the highlight. Haha. Kerteh is a dead town kalau takde office Petronas. Jujur cakap. The food is overpriced, that includes barang basah. Pasar mlm pun mahal. Locals jual kat area2 kampung. 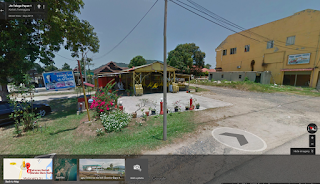 Most kedai2 mkn/brg, especially tepi main road, owned by outsiders but kalau owner yg mmg asal kerteh, kalau jumpa kedai mkn, they mmg jual murah. Like this makcik that our jiran found, he bought nasi lemak ayam rm2, with telur rebus in half okay. Mahal woo. Harga like KL one. Most yg renting slalunya company yg byr or big family. Small house at Panalex rent for rm900. Crazy much kan. Even Rantau Petronas pun dah mahal and people are moving out dah. Word of advice, try Paka or Kemasik. Better kalau nk cari barang basah, pergilah L-mart sebab stakat family kecik mcm aku situ jual sayur serba sikit and cheap. So takdelah ko beli kat TMC Mesra Mall sawi secekak takat nk goreng mee sbungkus buat makan pagi. Elakkan pergi pasar belakang McD kalau tak terdesak. Situ harga sangat mencekik. I once have a thought of wanting to help locals la kan konon, xpe byr lebih sbb it's from their own garden but nehi hey, org luar yg buat untung meniaga je. So kalau nk beli kat pasar tu pun, look carefully. Mmg ade makcik or nenek yg jual hasil derang sendiri and crazy cheap mase i beli itu hari. Lg kesian tau dgn org mcm ni. Ikan. Yes. Ikan fresh sgt bes tapi aku x beli kat pasar. Sila kenal2 pusing pergi area Kuala Kerteh. Situ ikan segar kol 11 elok la pergi. Ptg pun ada kalau rezeki kau ikan sampai awal. Tempat feberet di Kemasik, masuk jln kampung. Ikan hijau baru kluar laut aku tak tipu. Both our parents kalau dtg mmg beli ikan kat sini buat stok. 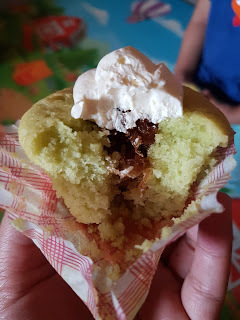 Masa mula2 pindah Kerteh, aku mengagau cari tempat nak cari barang kek. Google was useless that time. Haha. Ade la 1 lps aku tnyr jiran then kedai tu tutup. Kembali mengagagau. Nasib baik R to Z bakeri wujud. Syukur tak terperi untuk orang yg suke baking macam aku. Tempat berseronok for outdoor budak2 pergi je lah pantai. Kuala Kerteh pun ok. Our house tepi laut, it was a bless until the person yang slalu korek pasir tu buat kerja macam mana tah, air bertakung kat area paya and it was dreadful nak jalan ke shores. Lihat dari jauh je lah skang. Ade KGRP and they have facilities jugak for sports. I never been to the pool but my friends that went said it was okay. 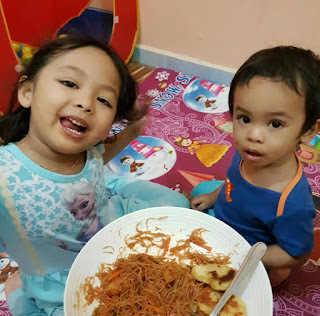 Kids boleh main jugak. Open at nights. Schools available and they are quite near to each other. Preschools yg hebat2 ada Smart Reader, Brainy Bunch, Little Caliph to name a few. PASTI pun ade dua if not mistaken, one at Kg Baru and another one Geliga. Taska pun banyak and always full tau. So if you plan to send you kids, kne rajin2 tanya orang and book early. As far that I know takde bas skolah and most of the kids either parents ambil or upah orang je. I have bad experience with Klinik Kerteh and most of my friends as well. We favor for Klinik Alamanda. Syed Badarudin pun orang selalu pergi but hmm we tried to avoid kalau boleh. Klinik Gigi Alamanda pun ok if you opt for not going for Klinik Kerteh punya dental dpt. Klinik Rantau pun ok jugak. The nearest hospital is Hospital Kemaman. Private you can go to Kuantan or Kuala Terengganu. Ade few hipster place that you can google but we love Wok & Grill. Good food and clean. Masakan panas takde tempat yang best sgt. Semua so-so with so-so or bad service. There is only one yang we ol slalu pergi just because they cook cpt gile and food is ok la. Paling cepat 5minit. 20min tops kalau org ramai pada biasa. Kedai kuning tepi jalan besar. Oh mann..services. The most trouble part. Car broke down? Need a paint job for your car? Boleh la nk try area Kerteh ni but if you know other places, sila la pergi tempat lain. The price and the mechanic job is not satisfying for us. Plumber? We have a contact. Sgt puas hati bila paip sink tersumbat, so this pakcik help us buang batu from god knows where and he have proper eqiupment jugak. An honest pakcik. Atap bocor? Haiya.. ni banyak susah especially for us yang double storey. We had contact but masyaAllah susahnya nak bg rezeki kat orang dlm bab ni. Tak mau datang. Aircond services or mesin basuh? Hmm no one to recommend but kalau dah terdesak and takde option, redahla mane2. Same je. Our mesin basuh rosak berbulan panggil kedai ambil. Tak datang sampai sudah. Smpai terfikir nak beli baru je but akhirnya Husband buat macam mana tah tetiba elok sendirinya. Haha. Word of advice, ringankan mulut sembang and kenal with locals. Tak perlu pun nak ang ang sgt time ckp. Aku bnyk blajar ngn jiran duk kat sini dan syukur sgt dpt jiran yg sgt membantu. Makes my life easier. Be nice to them, tak rugi pun. 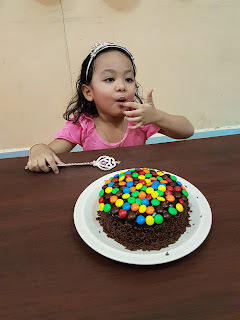 She kept talking about her 'birthday party' that we celebrated at our neighbour's house months ago. It is actually a farewell for us since we are moving out of town. Her friend were excited when they saw me brought cakes to the house and they thought it was for Rauhah, as in 'SURPRISE!' - I honestly dont understand but as long they are having a good time, then let it be lah kan. Anyhow, Husband got infected with this celebration thing and wanted to give her a good birthday and a surprise. 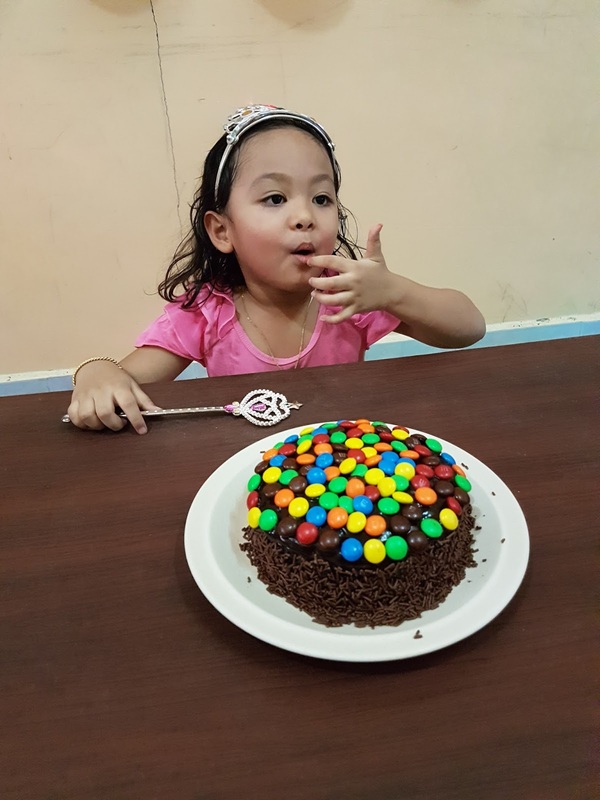 It was just us family and I asure you that this is like the ultimate birthday celebration for her even though just a simple deco and cake. She was so in high spirits and excitement all evening till the night. I baked choc cake with M&N and choc spirinkles while Husband in charge of the deco. Both kids are having a great time today with all the preps and the celebrations. We almost forgot the birthday present with all the balloons and eating the cake. Lama btul simpan and hide this from her tau. We bought her pool as a replacement the old one. Husband straight away let the kids play with it till dark. I, in a meantime preparing dinner, just bihun goreng and nuggets. I thought we suppose to celebrate after maghrib but Husband kemain smangat smpai rumah after work terus ajak happy birthday. Haha. But it was good idea sbb the kids can main air sampai penat then tdo awal. Haha. Lepas main air, mandi and makan, all the energy drained by 8.15pm. 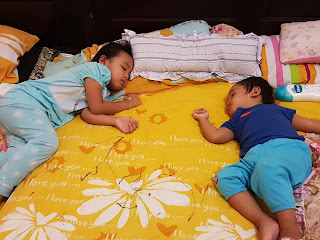 She went to bed on her own and Aqil pun sama. Well, mmg bedtime Aqil pun lps maghrib. She kept thanking us and wow, it really shows this simple celebrations meant a lot for her. I think she'll talk about this on top of her birthday party at the neighbours. Haha. 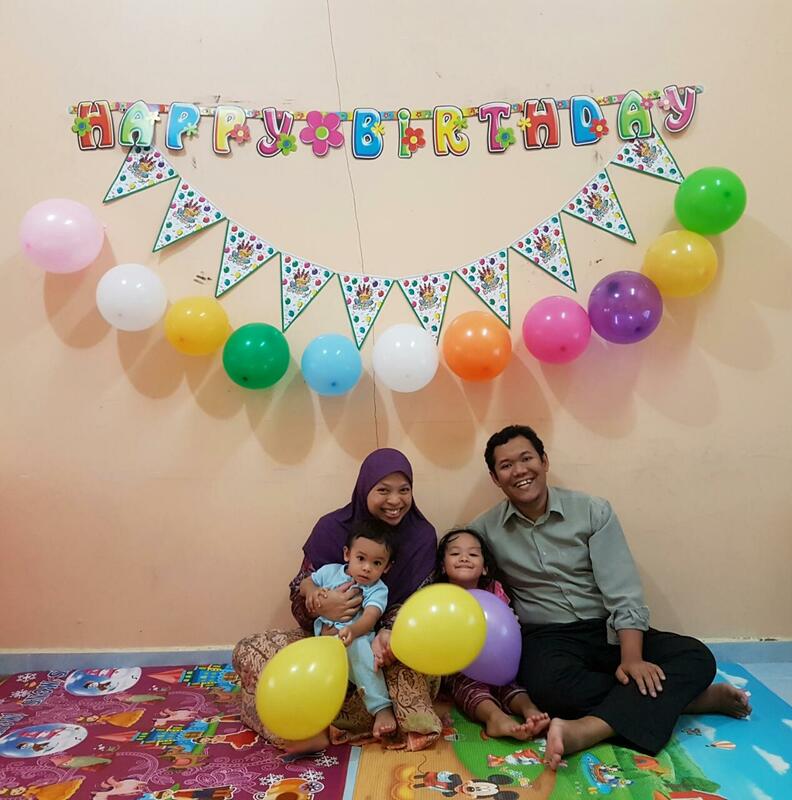 Happy birthday sayang. I have to thank you for giving the love and kindness that I dont know why I deserve. You have changed us a lot these years and we pray that Allah protect you from any harm. Ibu and Abi always pray for your happiness dunia akhirat. We love you so much! !